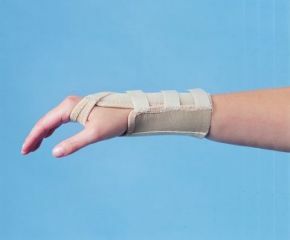 For painful writs or to prevent unwanted wrist flexion or extension. Hand or machine wash, air dry. For size measure circumference at the wrist crease. Please choose size and whether gor left or right hand. I purchased this product directly from the Active Mobility Store in Scarborough. I'm very pleased with it as it supports my right wrist when doing my keyboarding skills at my workplace.